More than 20 million people have been touched by Jesus Calling®. 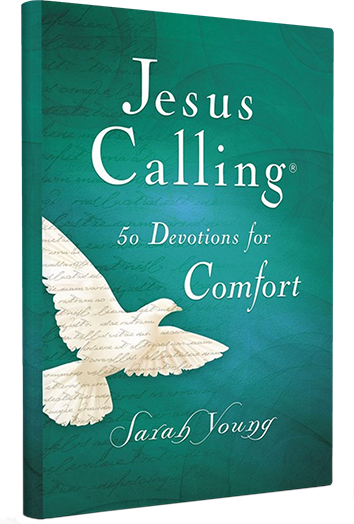 Experience Sarah’s words in a new way, focused specifically on the comfort only Jesus can provide. The Jesus Calling topical devotionals—releasing simultaneously—each feature 50 readings from Jesus Calling with relevant Scripture verses on the topics of comfort, peace, and encouragement. Through the scrapes, upsets, and meltdowns of life, loving parents offer comfort to their child. Our Lord longs to do the same to you. Jesus Calling 50 Devotions for Comfort is written as though Jesus Himself is speaking hope and comfort directly to your heart.